Sports have proven to make the body healthy and fit. Recently, the research also suggests that regular exercise may prevent strokes in women. 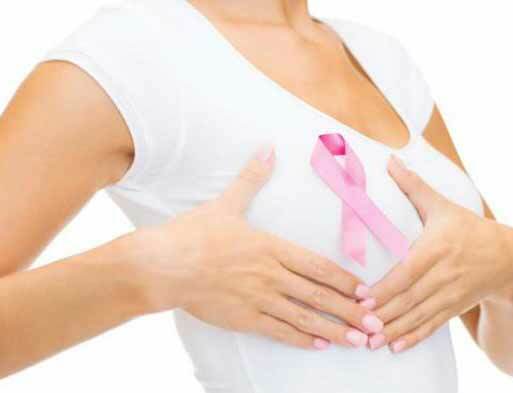 Now, researchers back to reveal the huge benefits that can be obtained by exercising every day, such as avoidance of breast cancer. Actually, the effect of exercise can be different and depending on the type of tumor and each person’s health, but new research reveals that exercise and an active lifestyle can help a lot of women of all ages to prevent breast cancer. These results were obtained after examining 37 research investigators, as reported by HealthDay News. “There are many studies linking sport with the risk of breast cancer. We are confident that our results are quite accurate,” said a researcher, Mathieu Boniol, who comes from Prevention Research Institute in Lyon, France. The research was conducted by analyzing data from about four million women. When it was compared, women who have an active lifestyle and exercising every day have 12% lower risk of breast cancer. The study also revealed that exercise can help women ward off breast cancer, whatever their age and weight. This study is very important for women, especially those who are still young, in order to make them get used with exercising earlier. Exercise not only prevent breast cancer but also other types of cancer and heart disease. Boniol explained that although breast cancer can be very aggressive, but still can be prevented with regular exercise and an active lifestyle. Boniol also emphasized that exercise is the most convenient and inexpensive way to prevent breast cancer and other diseases. Breast is one of the parts of woman body that usually been proud. Besides its beauty, women also have to pay attention to their breast health. One way is by eating healthy foods. In addition to regular exercise, food intake is also important for the prevention and treatment of breast cancer. The following foods are recommended for your breast health. Here are 5 good foods to consume that will support breast health as reported by abcnews.com. Cassava has rich carotenoids which are good for regulating cell growth and repair the damaged cells in the breast. Salmon has high omega 3 that are good for maintaining breast health. A study showed that women who regularly eat salmon will have a lower risk to have breast cancer. Tea contains polyphenols, an antioxidant substance that has great benefits for preventing breast cancer. According to a study that published in Cancer Prevention Research, the ellagic acid that pomegranate have inside helps prevent the growth of cancer cells and suppress the production of estrogen. Consuming mushrooms regularly are believed to increase the breast health and also lowering the risk to have breast cancer. This is because the breast is rich with nutrients and vitamins which are good for supporting breast health. Behind the beauty, the breast health is also an absolute thing to be maintained. So, keep your breast healthy by eating healthy foods above.